Simi Valley residents, at the invitation of the City of Simi Valley, submitted questions for the California Department of Health Services, Radiologic Health Branch regarding health issues uncovered in Los Angeles CityBeat and EnviroReporter.com. The seven pages of observations and questions for the city and department were delivered to Mayor Paul Miller and City Manager Mike Sedell February 28 by residents Frank Serafine and John Southwick after consulting experts and analyzing data on this webiste. The residents questioned CDHS’ alleged misapplication of radiation standards for the Runkle development. They asked the department that since the city relied a report “not considered useful” for properly ascertaining the amount of strontium-90 in the soil, shouldn’t the city ask the developer to retest. They also questioned why CDHS didn’t generate a report on a crucial retesting of Runkle soil in 2005 when the department admit its significantly lower readings don’t jibe with earlier more extensive and documented tests done from 1999-2003. 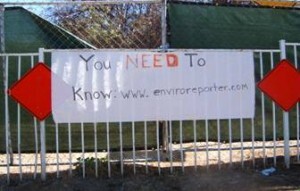 The lead up to this new developments began November 21 when the City of Simi Valley’s city manager, Mike Sedell, sent word to the California Department of Health Services (DHS) that it wanted a direct response to concerns raised by EnviroReporter.com’s investigation of Runkle Canyon. Our revelations included that the canyon tested high for the leukemia-causing radionuclide strontium-90. Citizen concerns over the 100+ tons of dust that would be generated by KB Home’s massive development located near the site of the worst meltdown in American history, galvanized the city to action. Shocked by community pressure about Runkle Canyon and a new Rocketdyne study citing cancers caused by the 1959 partial meltdown, the City of Simi Valley sought help from three government agencies, as its new “Runkle Canyon Update” page shows. The city’s Sept. 27 letter to the California Department of Health Services (DHS) asked for help in assessing our reports of the high strontium-90 readings in Runkle Canyon. In other words, the DHS would rely on an unrecorded statement, made at an undated public meeting by an unidentified speaker, based on unsourced data instead of the DHS’s own suspicious testing results that we exposed back in January! Not only that, DHS says it will then analyze the hazards of the 112 tons of dust that made aloft by this construction though they’ve already determined that the soil’s not hot! In DHS’s Nov. 8 analysis sent to the city, DHS concluded that there would be no harm to residents or workers on the site from the dust generated during the grading and construction of Runkle Canyon. 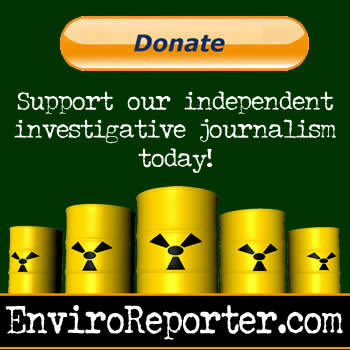 “The strontium-90 concentrations off-site will be less than 1/100,000 of the allowable regulatory airborne effluent concentrations,” the report reads. One of the other state agencies contacted by the Simi Valley City Council, the Department of Toxic Substances Control, politely declined in early November to weigh in on the subject. The U.S. EPA did respond to the city’s request with a Nov. 15 memorandum that, while declining to weigh in on the matter due to budgetary concerns, still offered an analysis of 126 soil samples measured from Sr-90 concentrations at Runkle Canyon. It noted that 9 of these samples were lower than the ‘one-in-a-million cancers’ goal of the agency, yet all the others were higher though the agency noted that none of the samples exceeded the upper limit of causing ‘one-in-10,000 cancers’ upper limit.